The script checks and warns you about those things you may have overlooked for whatever reason. * This setting enables gamma, sets it to 2.2, enables Materials and Colors to be affected, and sets your fileingamma and fileoutgamma to 2.2. 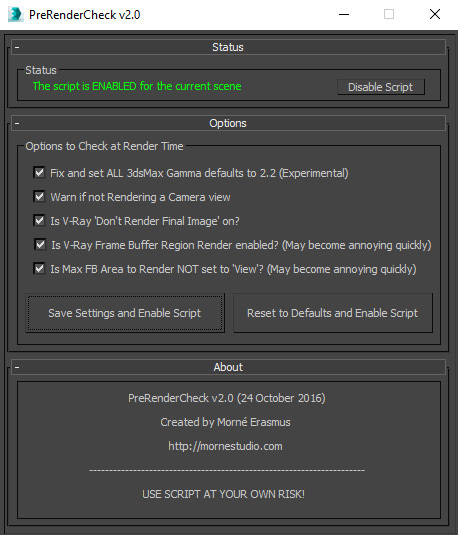 If you still work the old legacy way (no gamma correction), then don’t use the Fix Gamma check. 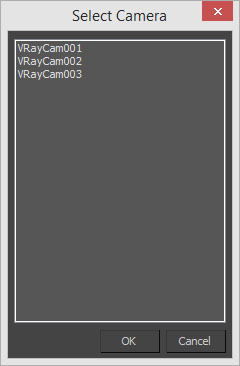 Among other things, the script checks if you are rendering a camera view, and if you are not, it asks you which camera view to render. 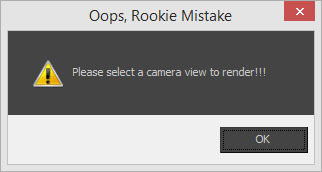 If you intended to not render a camera view, you can just click cancel and it will carry on. If there are no cameras in your scene, the script will tell you and then it will carry on with the next check. Sometimes you are doing GI precalculations or by accident you tick “Don’t render final image”. The script will check for that and ask if you want to switch it off or not. thanks will test this one out!